No matter what your craft is, you always want to get better at it. The goal is to create things that are more polished, more professional, and of course, have fun doing it. And to do that, you need to right tools. Crochet is no different. 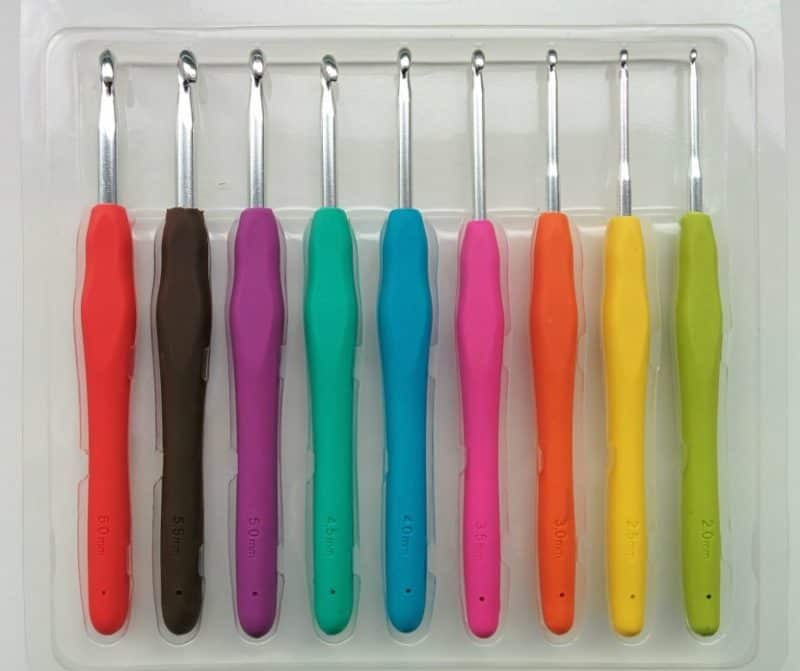 I’ve been crocheting for years now and I’ve finally come across crochet hooks that I not only love using but ones that actually make me crochet better. Read on to find out what which ones they are and how they’ve helped me improve my craft. Disclaimer: this post may contain affiliate links to products I use and love. Read the full disclosure here. 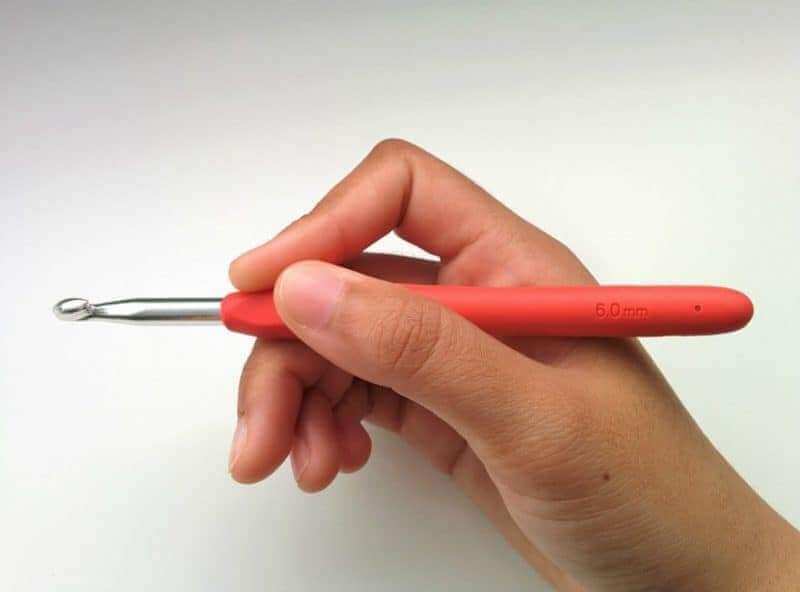 So, it should be pretty clear that in order to crochet, you’re going to need some crochet hooks. I know you didn’t need me to tell you that, but the type of hooks you use matter. There are so many different types of hooks out there, made of so many different materials, that it can sometimes be hard to decide what you should use. And I’m going to guess that anyone who’s just starting out is going to pick up the cheapest hook they can find and stick with it. Because that’s exactly what I did. There is nothing wrong with that; after all, any hook will technically do the job and it’s a great way to learn what you like to use. 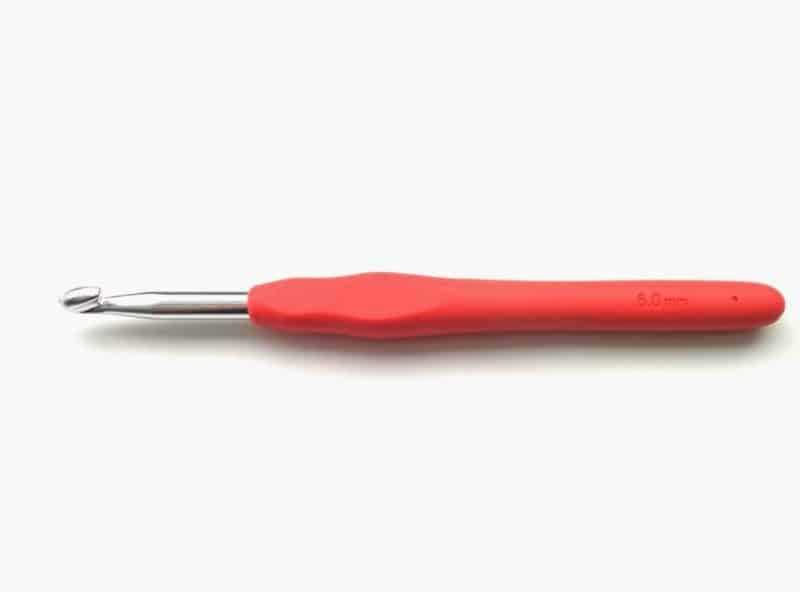 But if you want to step up your crochet, you should get crochet hooks that are right for you. Your crochet hooks should be comfortable. They should be easy to hold and use without discomfort. If you’re new to crochet, it may be awkward figuring out how to hold it, so maybe wait until you have the basics down pat before upgrading. Weight. Different materials make some crochet hooks heavier or lighter than others. Lighter materials, like bamboo, will make for a lighter hook whereas aluminum, or hooks with special grips, will be a little heavier. Tapered versus inline hooks – this can affect how easy it is for you wrap yarn around the hook. I can only use tapered hooks (they’re just easier for me), but you might prefer inline. Price, of course. How much are you willing to spend? 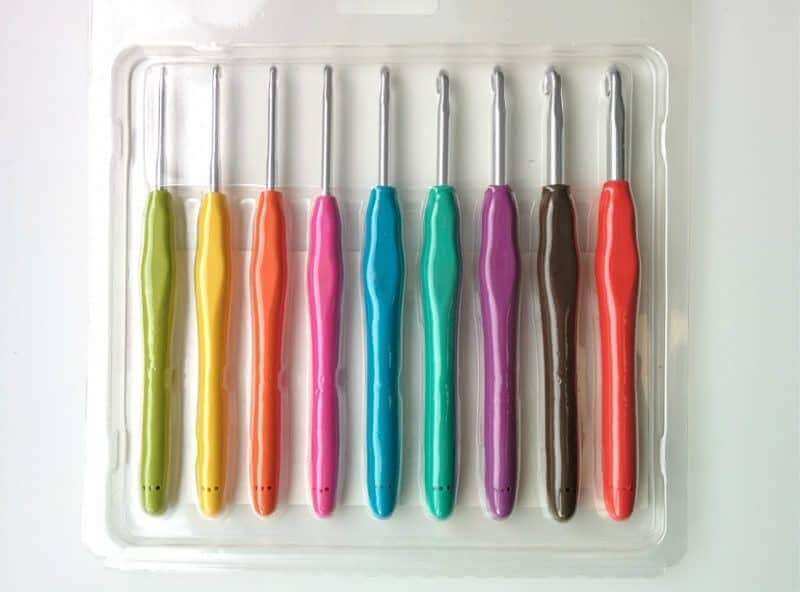 Do you want to buy individual, special hooks or do you want a set of good, middle of the road crochet hooks? Some people even have custom hooks made for them, but that’s not something everyone wants to pay for. I’ve used just about every kind of crochet hook. When I started out, I only bought one hook (which was actually a Tunisian crochet hook and I still don’t use) and I received the rest as a gift from a friend. She gave me a set that had a mix of brands and tapered/inline hooks, but they were great and I used them for a long time. I also tried out a bamboo hook, but that was too light and slippery for my liking. Although the set my friend gave me was great to start with and had tons of sizes, they weren’t perfect. They were uncomfortable and would make my hands cramp after a while. When I crocheted for myself, it was okay. But as I started this blog, started selling my work, and using my hooks for much more, I wanted something better to suit my needs. And now that I knew more about crochet and crochet hooks, I knew what to look for. I needed something not too expensive, tapered aluminium hooks, and something to make holding them more comfortable for long periods of time. So, I picked up a pack of Knit Picks Rainbow Crochet Hooks. I am SO glad I did because they are amazing! They’re so comfortable. I can use these hooks for hours at a time and not feel any pain or cramping in my hands. 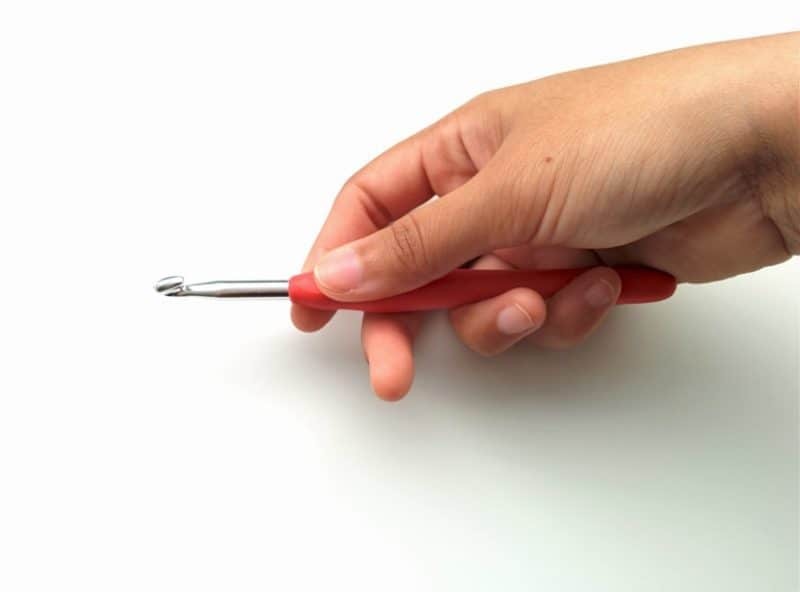 The molded rubber grip is perfect and no matter how I choose to hold the hook (I switch every now and then), I still have the support under my fingers that my old crochet hooks didn’t give me. They are aluminum, which I love because they have a little bit of weight without being too heavy, but they aren’t as light as bamboo hooks. Also, they have tapered heads which have always been easier for me to use. It’s not shown in these pictures, but these also come with a cool zippered pouch for storage and it makes life SO much easier to just grab it and have the whole set nearby rather than choosing one hook and putting the rest back. I switch them out a lot and work on multiple projects at once, so it’s nice to have the case on hand. There are 9 hooks in the set and they’re all brightly colored so you can easily tell what size the hook is. The size is also engraved on the end of the handle, but once I knew the colors, I started choosing the hooks I needed at a glance. And they are only $20 for the set and case! That was really important to me. 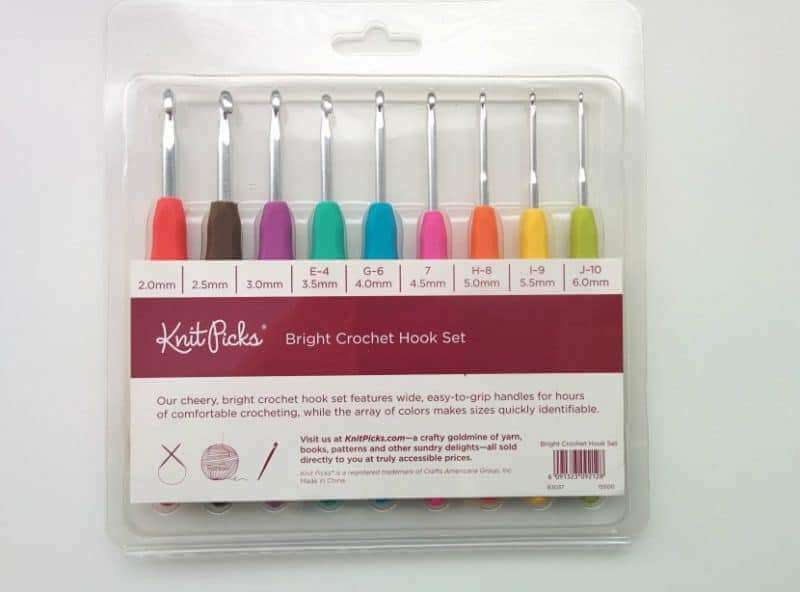 I justified using my same old hooks for so long because although they were uncomfortable, I didn’t want to spend a ton of money on a new set of crochet hooks when I already had some that worked. With these, I was getting all the sizes I needed, and a case to keep them in so $20 was a really good price for me, especially since I use these every day. HOW Did they Improve My Crochet? After listening to me rave about these hooks, you’re probably wondering how exactly my crochet has improved because of them. And it’s simple, really. My crochet is better now, meaning more consistent and tighter when it needs to be because I can work comfortably and hold the hook for longer amounts of time. With my old hooks, I couldn’t maintain a tight tension very long. But for amigurumi and crocheted plushies, I needed to work SC tightly so that the stuffing didn’t show. These hooks are comfortable enough to let me do that now. And my work has far fewer gaps than it used to. Also, because of the grips, I can hold the hooks longer in the same position. This helps me make sure that my work is consistent because I’m not readjusting my grip all the time. And even when I put the work aside and come back to it, it’s easy to find that same hold, that same grip and continue on as before. 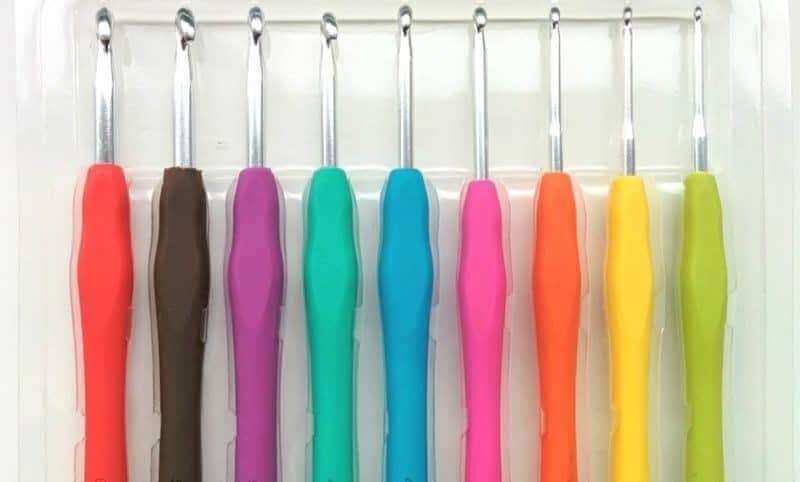 Everyone has their own preferences when it comes to crochet hooks. So, if you prefer using wooden hooks with inline heads, then these probably aren’t for you. However, if you like the tapered hooks or if you’re still figuring out what you like, try these out. The set is only $20 so it’s great if you’re starting out and don’t want to spend too much money. These hooks have been incredible for me so far (about 8 months). I feel like they’ve helped me crochet more easily, more comfortably and I’ve enjoyed crocheting more. If that’s something you want, you can get your own set here. If you liked this and want to see more reviews/products I use, check out my tools page! 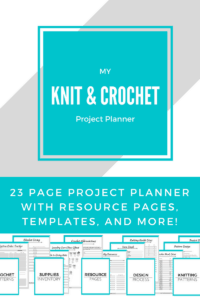 It has everything I use for knitting and crochet, along with links to where I got it. 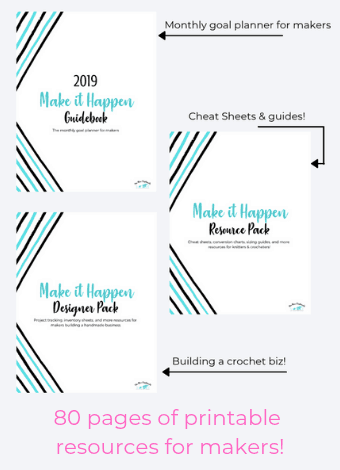 You can also download a printable checklist version of that page in my resource library. Be sure to subscribe for access to the resource library, with subscriber-only goodies, and I will see you guys soon! Thanks! I wish I had these when I started. it would have been much easier learning to hold the hook! I’m not very good with crochet at all so this is good information to me! I tend to try a crochet project most winters. Thanks for sharing with us at Merry Monday. No problem! Practice obviously plays a big part but these hooks have been so comfortable and great, the difference shows! I love the pretty colors of these! Have a great weekend! They’re so bright and beautiful, it’s great working with them 🙂 Thanks!